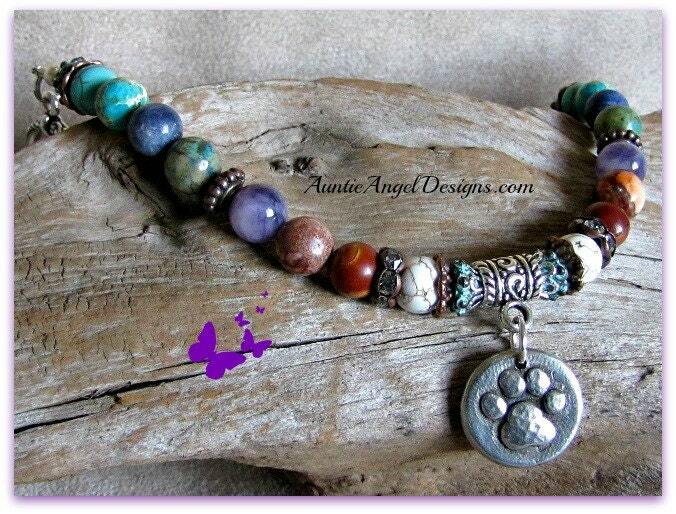 This pet lover bracelet is strung on wire with various hues of semi-precious gemstone beads accented with wavy rhinestone bead spacers and antiqued copper bead spacers. Fine silver-plated filigree bead caps top patinaed copper bead caps and antiqued copper bead caps. 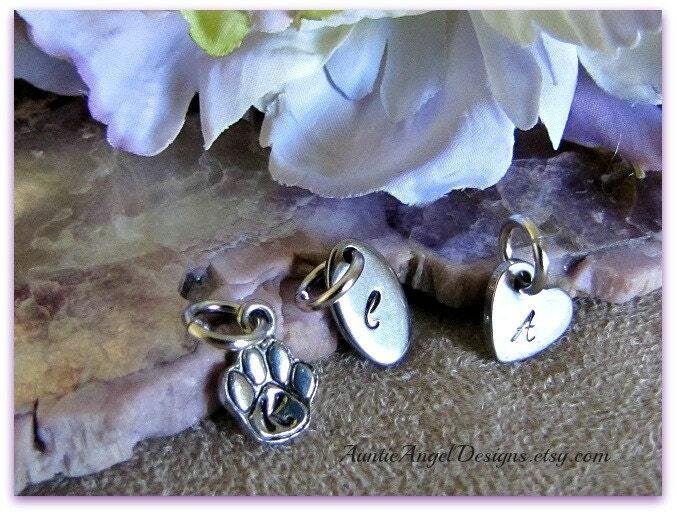 An adorable artisan pewter raised paw print charm dangles from a pewter scrollwork charm bail. 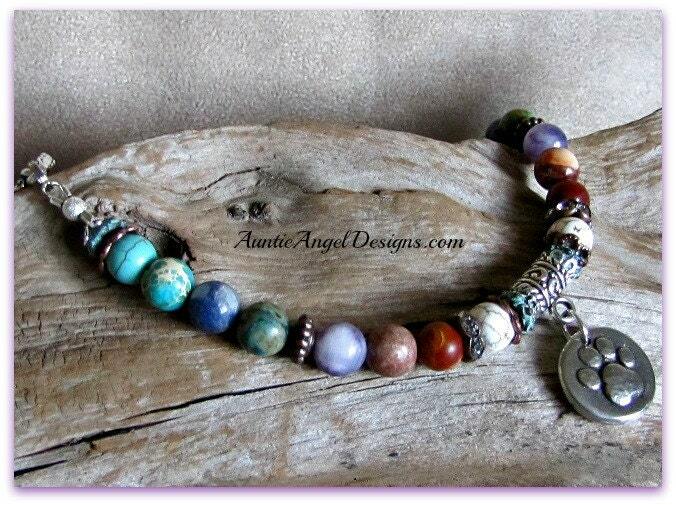 This gorgeous bracelet is finished with an heirloom-style toggle clasp. 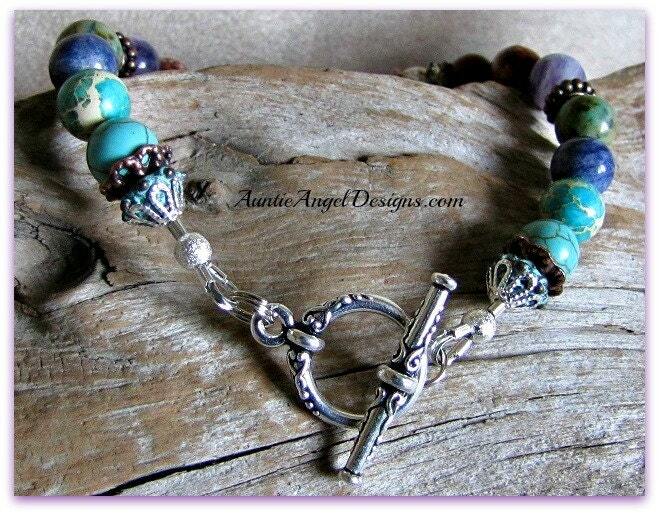 Please note: The colors of the gemstone beads will vary slightly from those pictured as no two are ever alike. The number of beads used depends on the wearer's wrist. Please include your wrist size, NOT your bracelet size. This bracelet comes in its own gift box with ribbon and is ready for gift-giving. 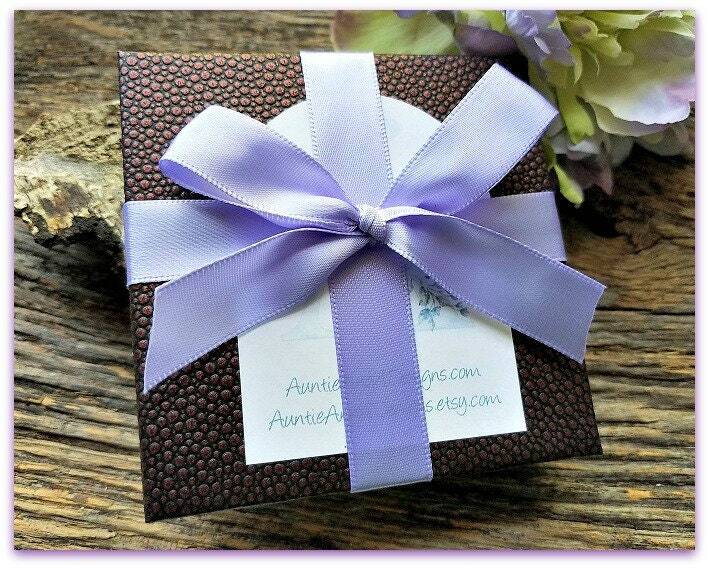 I include a small paw print enclosure card and envelope for your heart-felt message to be handwritten on the card if you are giving this as a gift. Please let me know! If I am sending this gift for you, please include your message in the Note to Seller box and let me know how you would like to "sign" your name to the card. If you have any questions whatsoever, please contact me. I will also contact you if I have any questions. Please be sure to check your e-mail after your order is placed so there is no delay in fulfilling your order. Visit my sister Etsy shop at www.inlovingmemoryofyou.etsy.com for more jewelry and gifts. This is my 3rd piece of jewelry and my favorite. LOVE this bracelet. The design with the beads and color combination was gorgeous. I will wear this everyday as a gorgeous piece of jewelry and to honor my dog Cooper who passed away.